A Hitman Franchise offers you the opportunity to build a highly profitable business with plenty of room for business growth and development. Hitman currently has 17 technicians across Brisbane, Gold Coast and Sunshine Coast. All franchisees earn a minimum of $110,000 net of expenses in their first year. Hitman is a successful Brisbane based business that has been providing pest management services for 23 years. The key to Hitman’s success is its rigid adherence to systems in all areas of the business. These systems ensure that clients receive exceptional service from the time they first call the office, through the 12 month service period, to when they are rebooked for their treatment the following year. These systems also mean that Hitman is a perfect business to franchise. Hitman franchises are definitely unique. The big difference between Hitman and other franchises is that the bulk of the clients are sourced by head office. This means that the onus is not on you to find work. However, if you do source your own clients your income will be substantially higher. A Hitman franchise is also seasonal which is great for anyone who likes to work hard for 9 months of the year and take it easy for 3 months. Hitman’s expertise is not only in the treatment of pests but also in its ability to acquire clients and retain them. Donna Ross-Teigan co-founder of Hitman with her husband Niels has an extensive background in marketing which has been extremely beneficial to Hitman and its franchisees. All Hitman franchisees earn in excess of $110,000 net of expenses in their first year assuming they do all work allocated to them. Hitman’s retention rate of clients is 80% which means that the bulk of clients is retained by the office and reallocated to the franchisee. Most of the income is earned between October and May of each year. 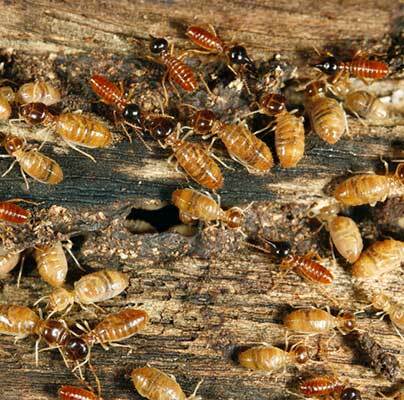 This is when the pests are most prevalent and clients prefer to have their treatment. This means that the winter months of June, July and August are the slow months and a minimum of work is done. This is when all holidays are taken over this time. A minimum of $30,000 deposit is required for approved applicants. The business will be paid off over four to six years leaving the franchisee with a saleable asset after it has been fully paid. The interest rate on the loan will be market value and dependant on the Reserve Bank rate at the time. All Hitman franchisees are new to the pest control industry when they buy a franchise. Once they are trained they are indisputably the best in the industry. The training received includes a certificate course of study as well as six weeks practical training. Hitman will pay you $600 gross per week during the training period. The training program is overseen by Niels Ross-Teigan who has been in the industry for over 20 years. As soon as the training is completed you begin work. You are given a work schedule of between 4 and 5 jobs per day. You collect the money directly from the client and then invoiced fortnightly by Hitman for jobs supplied. This means that you have an excellent cash flow from day one allowing you to focus fully on the job at hand. As Hitman sources the bulk of all jobs there are no territories specific to franchisees. All work is allocated in the most geographically effective manner spread across all franchisees in their first year. In subsequent years existing clients will be reallocated to the franchisee that performed the treatment the previous year. A Hitman franchise including comprehensive training, all equipment, start-up chemicals and stationery is $158,900 + approximately $35,000 for the car. These prices exclude GST. Franchisees receive payment from clients on the day. Therefore, income starts day 1 after training finishes. Never disturb termite workings. Call Hitman immediately!